An Ayrshire man who was instrumental in the campaign to save Dumfries House has been appointed Chair of Ayr Renaissance – the regeneration company established by South Ayrshire Council to deliver regeneration activity within Ayr town centre. 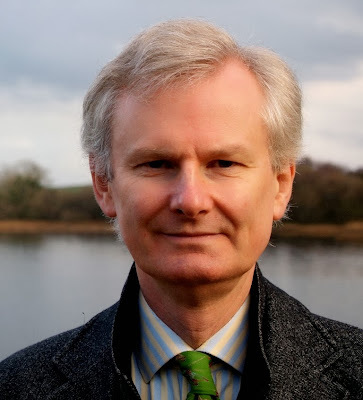 James Knox (pictured above), who has served on the Ayr Renaissance board since 2009, takes up the position – which had been filled on a temporary basis over the last ten months by fellow Ayr Renaissance board member Evelyn McCann – with immediate effect. James was born and brought up in Ayrshire – where his family have been rooted for many generations – and has known Ayr all his life. He has a degree in art history from Cambridge University and a Master of Business Administration from the international business school, INSEAD. His career has been spent as a publisher, writer and arts consultant and he is currently managing director of The Art Newspaper, the bible of the international art world. Although his job takes him all over the world, James continues to live at his family home near Coylton. In 2007, he launched the campaign in Scotland to save Dumfries House, arguing from the start that saving Dumfries House would act as the key to the regeneration of Cumnock and Auchinleck. Overcoming enormous obstacles – and with the backing of the Prince of Wales – the campaigners raised £45 million in three months and the house and estate were saved for the nation. James remains a trustee of the house and estate, which has become a model for cultural regeneration in action. He is also a trustee of the National Trust for Scotland and of the Boswell Trust, a charity set up by him and his wife to assist in the regeneration of Auchinleck through the restoration of biographer, James Boswell’s mausoleum in Auchinleck churchyard, and the staging of the annual Boswell Book Festival at Auchinleck House, which has attracted star authors and actors. James’s business career has been spent turning round independent publishing companies with troubled financial histories, most notably the Spectator magazine (the oldest publication in Britain). This has required a hard- headed business sense as well as the ability to generate ideas and think creatively. As an art consultant, he has worked for the Royal Collection, and commissioned a sculpture park for the Boots company round their factories in Nottingham, which was the largest private millennium commission in Britain. James has written a number of books, including the biography of the great architectural campaigner and travel writer, Robert Byron, and most recently The Scottish Country House (published in the UK and US) which features Dumfries House. Councillor Bill McIntosh, Leader of South Ayrshire Council and a member of the Ayr Renaissance board, said: “I’m delighted James has been appointed as the second Chair of Ayr Renaissance and look forward to working with him in his new role. James has a wealth of skills, knowledge and experience, which I have no doubt we can all benefit from, and make full use of, to achieve what we want for Ayr town centre. “It’s a really exciting time for the town with lots of positive and productive partnership working developing between Renaissance, the Council, town centre retailers and the local community and James’s drive, passion and ambition will take all of that to the next level. Following the confirmation of his appointment, James Knox said: “I have known and loved Ayr all my life. It is one of the most handsome towns in the south west of Scotland, and yet, in recent years it has suffered a sad decline, like many town centres across Britain. “Ayr has so much going for it – a fascinating history peopled with the likes of Wallace, Bruce and Burns, a tempting collection of specialist shops and cosy cafés, a wonderful sea front with breathtaking views, and so much more. “In leading Ayr Renaissance, I want us to think creatively and learn from the successes of other towns with similar problems. Above all, we must come up with answers inspired by Ayr itself and find a way to tap into the energy and ideas of the towns people themselves, who are truly passionate about the future of Ayr.